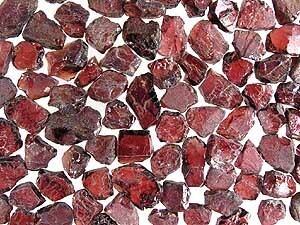 This garnet is composed of a combination of pyrope and almandine with some also containing spessartite. Mostly clean stones, but will usually provide best yield when cut in two or more pieces. 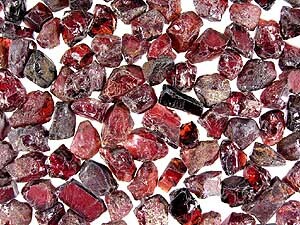 Malaya Garnet with good yield: $1.15/carat SALE: $0.85/carat!! Mostly clean stones, but may have surface flaws and occasional internal flaws.